← Best Lentil Stew Ever! I found this recipe on how sweet it is. I made them gluten free! 1.In a large bowl beat butter with an electric mixer on medium to high speed for 30 seconds. Add brown sugar, the 2/3 cup cocoa powder, the coffee crystals, baking soda, and cinnamon. Beat until combined, scraping sides of bowl occasionally. 2. Beat in egg whites. Beat in as much of the flour as you can with the mixer. Using a wooden spoon, stir in any remaining flour. Divide dough in half. Cover and chill about 1 hour or until dough is easy to handle. 4. 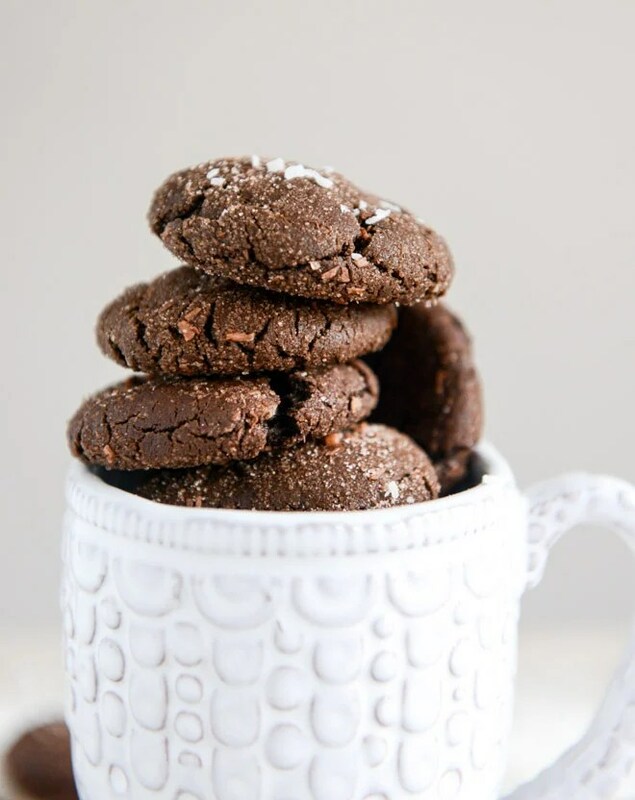 In a small bowl combine granulated sugar and the 2 tablespoons cocoa powder; set aside. Shape dough into 1-inch balls. press lightly between your palms to slightly flatten cookie; roll in sugar, reserving remaining mixture. Place cookies 2 inches apart onto cookie sheets. 5.Bake for 8 to 10 minutes or until edges are firm. Transfer cookies to wire racks; cool. Sprinkle cookies with the remaining sugar mixture.